Conduct courses in Holistic Sciences, e.g. Astrology, Taro Reading, Reiki/Karuna Reiki, Sujok Healing, etc etc. 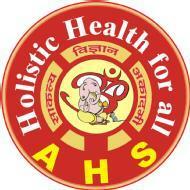 Academy of Holistic Sciences conducts classes in Acupressure Training, Health and Medical and Tarot. It is located in Kalkaji, Delhi. It takes Regular Classes- at the Institute and Online Classes- via online medium.